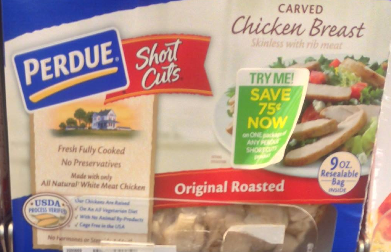 Peelie Alert: $0.75/1 Perdue Short Cuts = $2! Perdue Short Cuts are on sale for $3.50 at PC this week. Look for $0.75/1 peelies that will double = $2!